We all like little treats every now and then, but don't you sometimes feel like you're running out of ideas?! 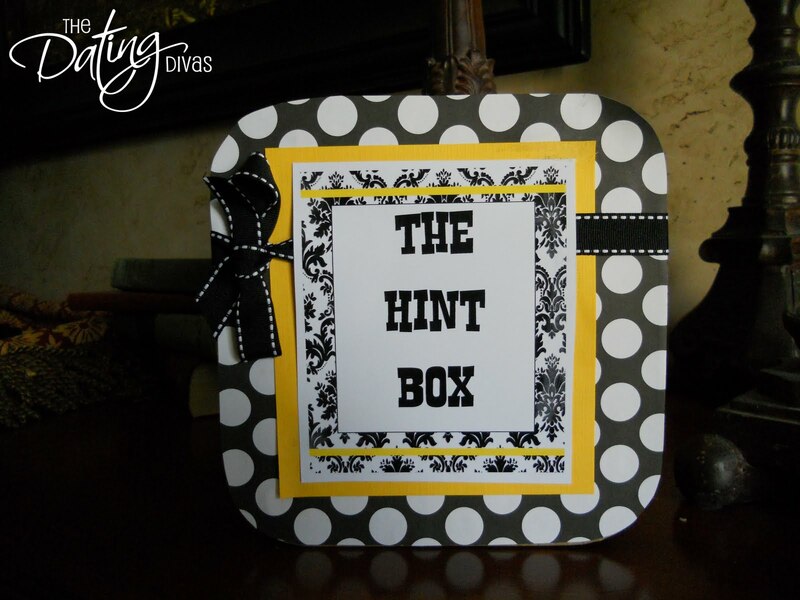 Pop on over to The Dating Divas website to find out more about this Hint Box. I guess now I won't have to wear my Les Mis tshirt EVERY day to "hint" to Noel that he needs to buy me tickets for February. Or maybe I will just in case. Ok, I know this was about the Hint box BUT I didn't know Les Mis was coming here next year so that made my entire day. Thanks!! I want to go, too! Maybe we can get tickets together! 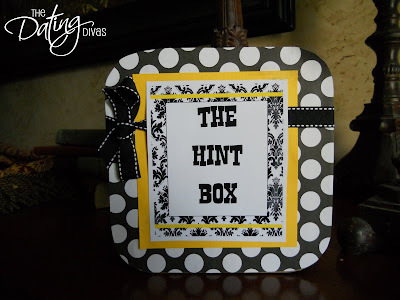 Great idea about the Hint box. Hmmm. I may have to make one for myself! Thanks so much for featuring our "Hint Box!" We hope it works to get you those Les Mis tickets!